The Aspen Music Festival and School’s 2019 Winter Music Series will feature three internationally acclaimed artists: pianist Yefim Bronfman on Tuesday, Jan. 29; violinist Jennifer Koh on Thursday, Feb. 7; and pianist Marc-André Hamelin on Thursday, Feb. 28. Discounted “early bird” passes are on sale through Nov. 1 at aspenmusicfestival.com and 970-925-9042. The early bird pass is $120 for all three concerts. Single tickets are $55. All three recitals take place at 6:30 p.m. in Harris Concert Hall. Bronfman is known internationally for his commanding technique, power and exceptional lyrical gifts. The New York Times describes him as “a pianist with comprehensive skills who can seemingly play anything.” He will present a program of Schumann, Debussy and Schubert in Aspen. 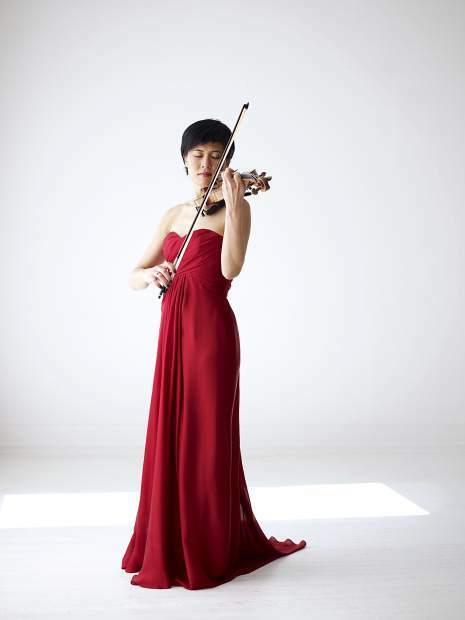 Koh, an Aspen regular, will perform with frequent recital partner and pianist Shai Wosner to present “Bridge to Beethoven,” a project pairing Beethoven’s violin sonatas with new and recent works inspired by them to explore the composer’s impact and significance. Koh is recognized for her intense, commanding performances, dazzling virtuosity and technical assurance, and a quest for the new and unusual. The pair will perform Beethoven’s Violin Sonatas No. 8 and 7, together with Andrew Norman’s Bridging I–III. Hamelin, a Grammy-nominated pianist, presents a program of works by J. S. Bach/Busoni, Schumann, Alexis Weissenberg, Castelnuovo-Tedesco and Chopin.